Well let's start with the oldies but goodies. All-time favorites such as the Signature Crispy Roast Suckling Pig served in 3 ways (read about the lovely lemongrass pork fillet here), Peking Roast Duck, Steamed Thousand Layer Beancurd and seafood delicacies such as abalones, lobsters, clams, crabs, and sea cucumbers remain. 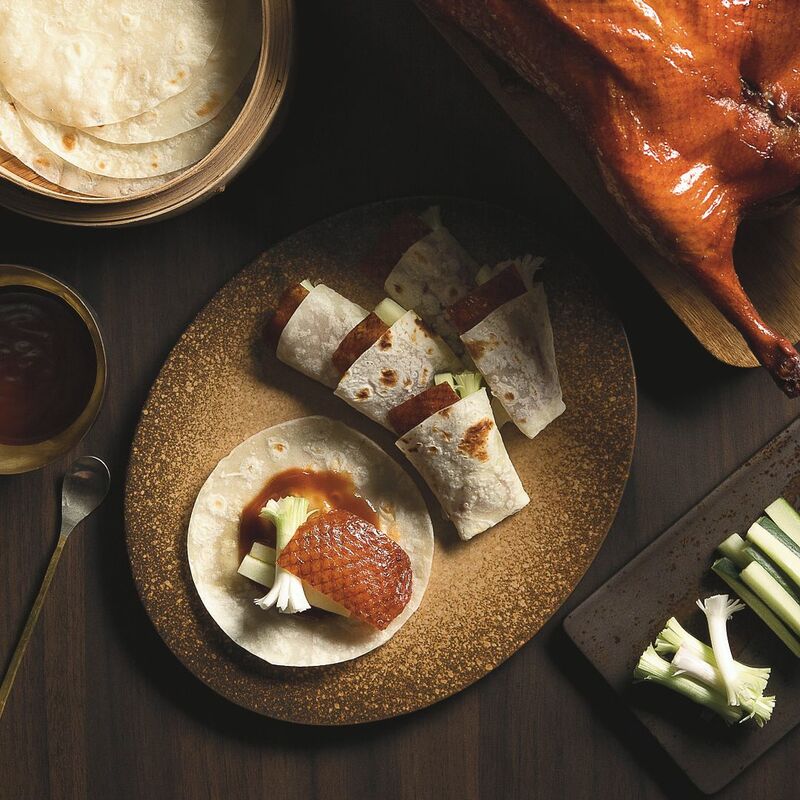 Yàn Peking Roast Duck Served in 2 Ways ($55 for half, $105 for whole). The peking duck wrappers were super yummy and the servers did a marvellous job of wrapping them up quickly for the starving bunch of us. The rest of the meat is typically diced, and stir-fried with diced vegetables and served in lettuce cups. We opted to have it served sliced though and the meat was flavorful and juicy on its own! 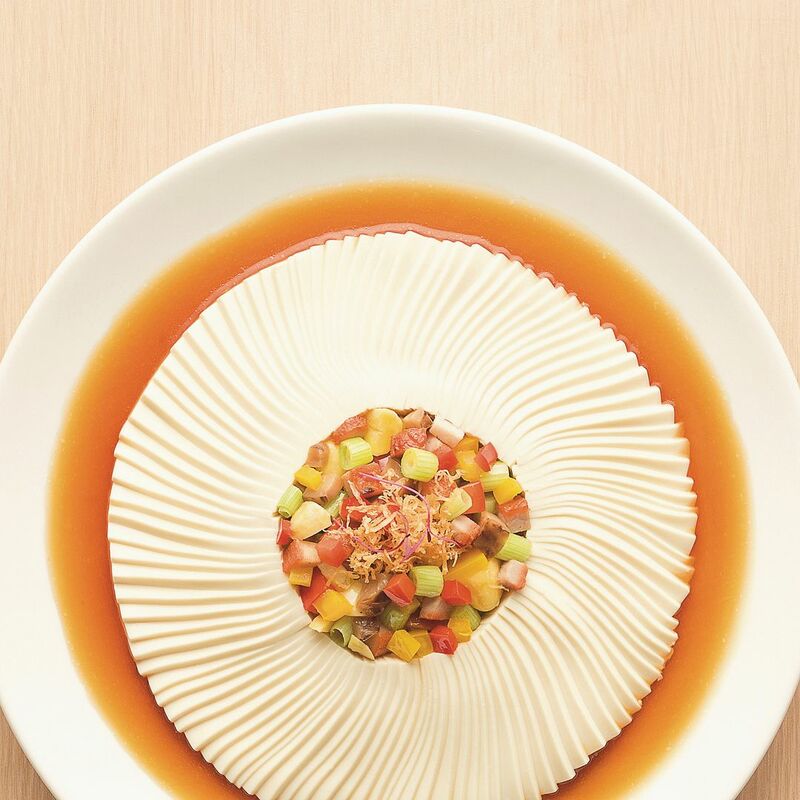 The Steamed Thousand Layer Beancurd ($22/33/44) is a showcase of the excellent knife skills of the chefs. In the center, there are glazed pork cubes, conpoy, mushroom and gingko nuts. A wholesome and pretty dish too. 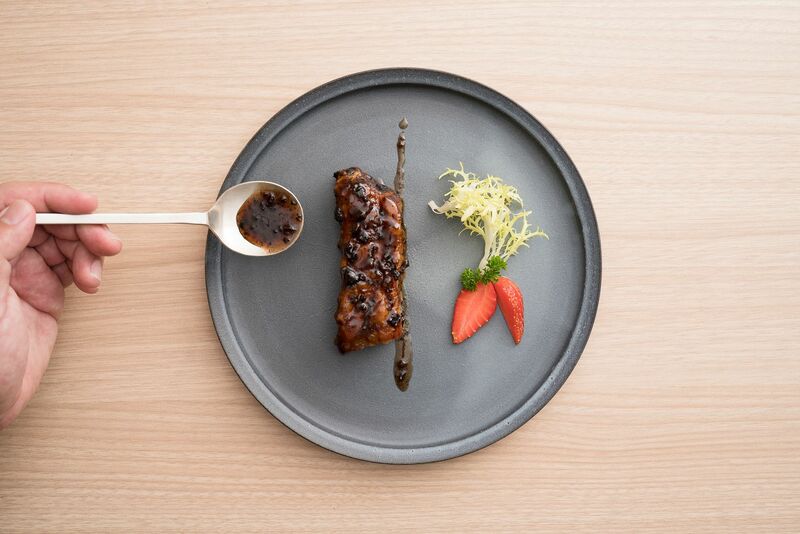 A new Yàn signature is the House Special Baked Pork Ribs with Black Olive ($13.80/pax) which originated from Chef Lai's experiences in Hong Kong. Inspired by the Guang Zhou farmers who uses preserved olives with their food, Chef created this dish which also tastes of plum and honey. Another special is the Baked Crab Shell with Crab Meat and Onion ($18/pax). Fresh flower crabmeat is cooked with onion, bechamel sauce and superior stock, then filled into the empty crab shell, topped with breadcrumbs, and baked. This dish was created in Hong Kong back in the early 80s. 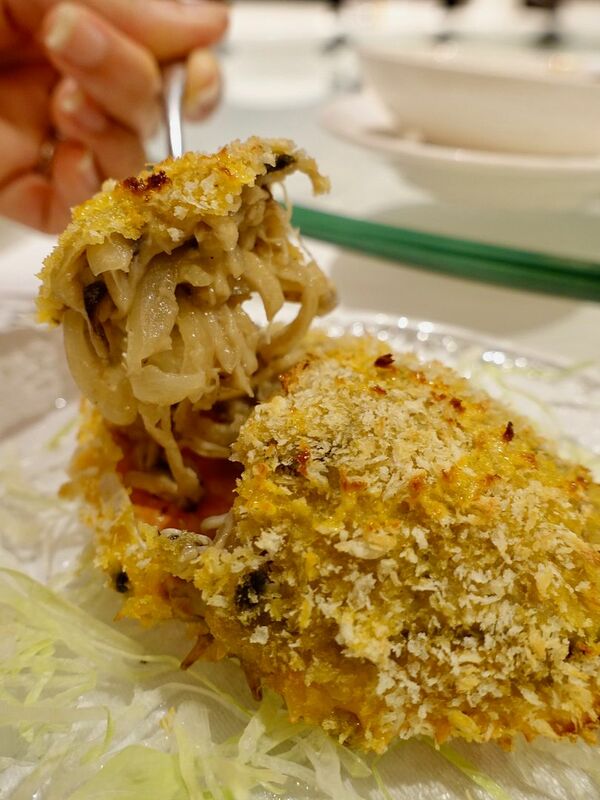 There's plenty of sweet chunky crab meat, along with the crunchy onion (without the sting), and mushrooms. Yums! 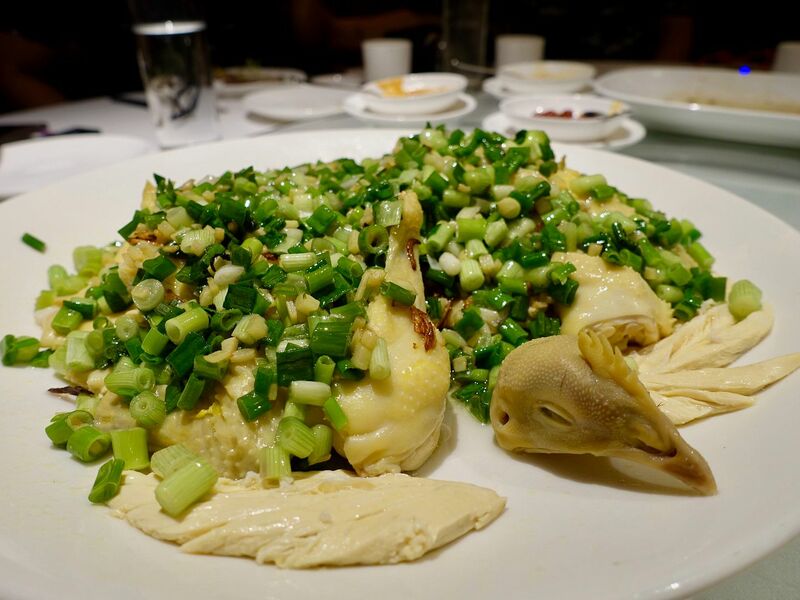 A dish that i could possibly devour whole on my own is the Steamed Kampong Chicken with Ginger and Spring Onion ($25/50). The star of the dish could jolly be the sauté of scallion, spring onion, ginger and salt, fried in peanut oil! I could just have that alone with rice. But yes, the chicken was great too! Remember to order this a day in advance! The Braised mee pok with fresh mushroom and XO sauce ($22/33/44) was amazing as well! The noodles are thin, almost thin hor fun like, but they maintained their eggy crunch. 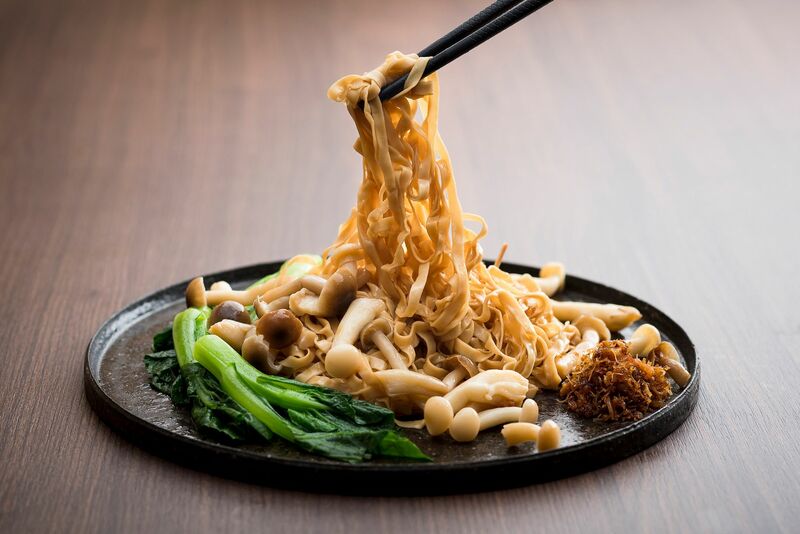 There's not need for any fancy ingredients, other than the homemade XO sauce of course, which consists of more than 20 ingredients mainly dried scallops, dried shrimps, salted fish, 'Jing Hua' ham, prawn roe and chilis. For desserts, i had the Hot Walnut Cream ($8) which was rich and nutty, but not too thick that you'd get sick of it quickly. 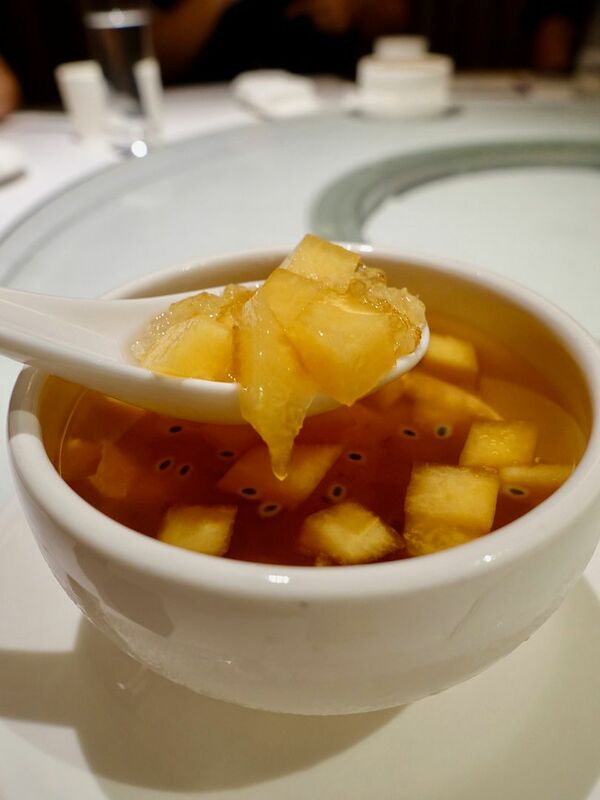 The Chilled peach resin with diced honey dew ($8) had a lovely crunchy bird’s nest texture if you're looking for a refreshing dessert. 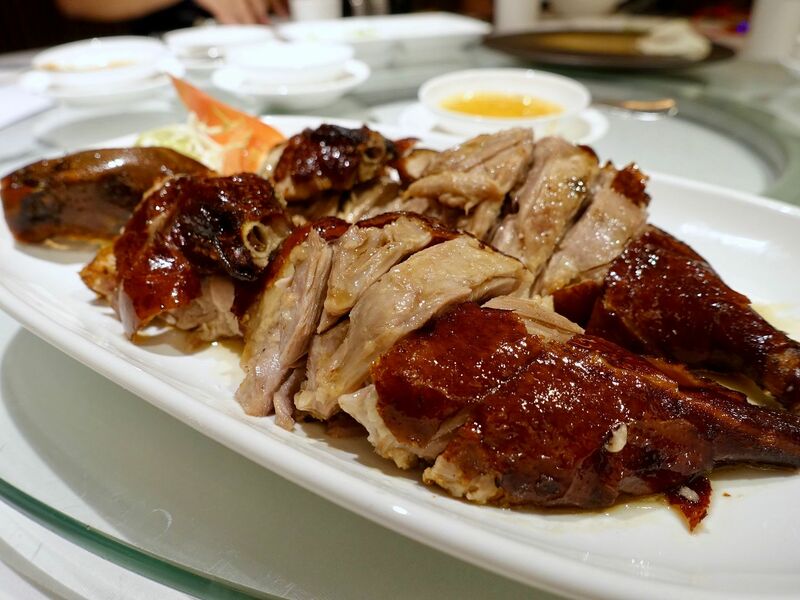 Well if you are looking for a place to enjoy some nostalgic Cantonese dishes, or perhaps a restaurant for a small wedding banquet, look no further than Yàn.